Bibliotecario de la Universidad Complutense de Madrid. 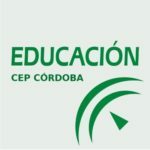 This paper describes the history, creation, development and features of the Pedagogical Missions of 2nd Spanish Republic during the period between its foundation in 1931 and the Military pronouncement in July 1936, which meant, in practice, the end of the missions and many other educational, cultural and social projects in those years. The Pedagogical Missions were inspired in the work of the Institución Libre de Enseñanza and regeneracionista and krausist philosophy of the late 19th-century developped by intellectuals as Francisco Giner de los Ríos and Manuel Bartolomé Cossío, who founded – the last one – the Pedagogical Missions on May 29, 1931. 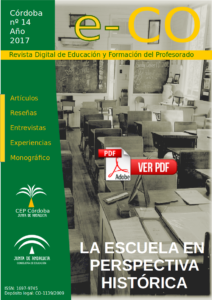 Its main functions included the approach between field and urban centers in cultural and educational matters and their difussion, especially in rural areas, “in order to brighten, humanize and civilize the field” (Cossio). Another matter was what Cossio called educate to delight, through theatral representations, film projections, readings, musical performances, exhibitions, and so on. The missionaries were the most important piece; without them it would`nt have been possible this work. Juan Ramón Jiménez named them “sailors of excitement”. Special importance had libraries created by missions in most villages where missionaries used to go. Those libraries assembled both the role to instruct and the function of public library, as well as school, open to all residents. Some of these libraries not destroyed by rebels have remained to present day, such as the library of Castropol (Asturias).